Less. That’s what I’d like to see in this wine. Less ripeness, less oak and less extract. 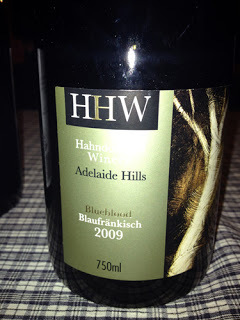 Perhaps it’s just me but I’ve always viewed Blaufrankisch as the Beaujolais of Austria and this looks more like a medium bodied Hills Shiraz than anything Gamay-like.